'Ah, the bower we shrined to Tennyson, gentlemen. . . I'd love to read that book, even though Keith Moon died when the only records I owned were 7-inch "long-playing" Winnie the Pooh stories. 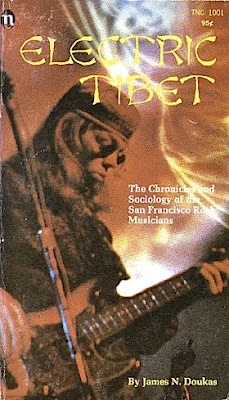 Unfortunately I'd be leery of actually reading a 40-year-old paperback that I'd paid over $20 for. 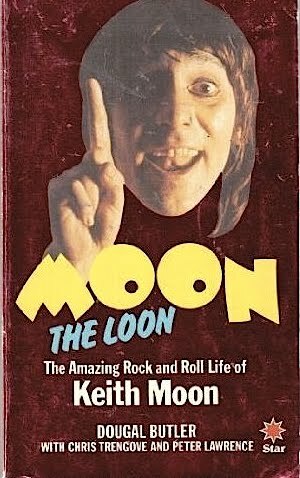 "Moon the Loon" has always been sought afteer over here, especially in the pre internet days.In my twelve years of working at the shop I managed that specialized in such books, we never had a copy, and trust me we looked; I had punters lined up around the block for it. Another vintage item of impeccable pedigree is Julian Cope's 'Krautrocksampler'. Not many turn up on the market and when it does you won't get much change out of 80 quid. 50p, was one I will long treasure.